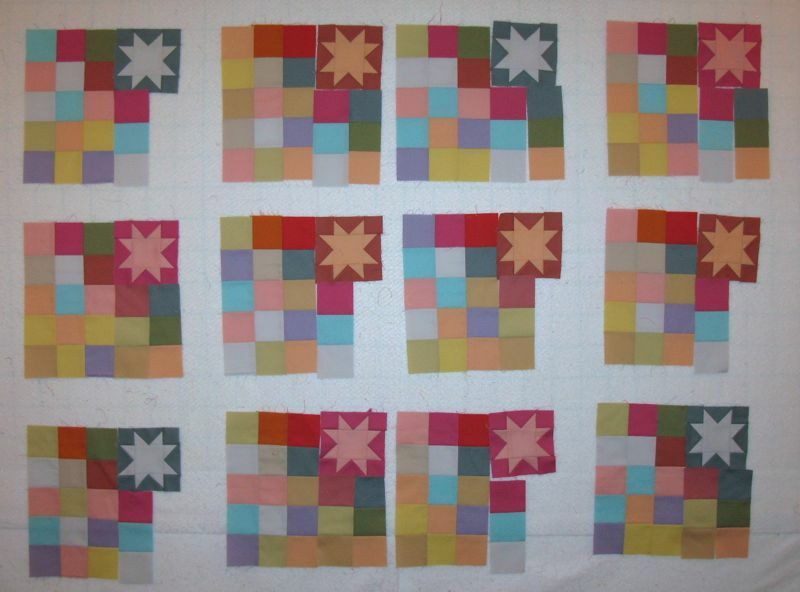 Block of the Month: Starts and Re-starts | OccasionalPiece--Quilt! Posted on July 1, 2013 by Elizabeth E.
So yes, today I’ll be unpicking and re-stitching in order to break up the two yellows. What you see up on my pinwall is where I got a bit smarter and laid out the strips and the stars and the sets, and could mix and match before sewing them up in a rush. 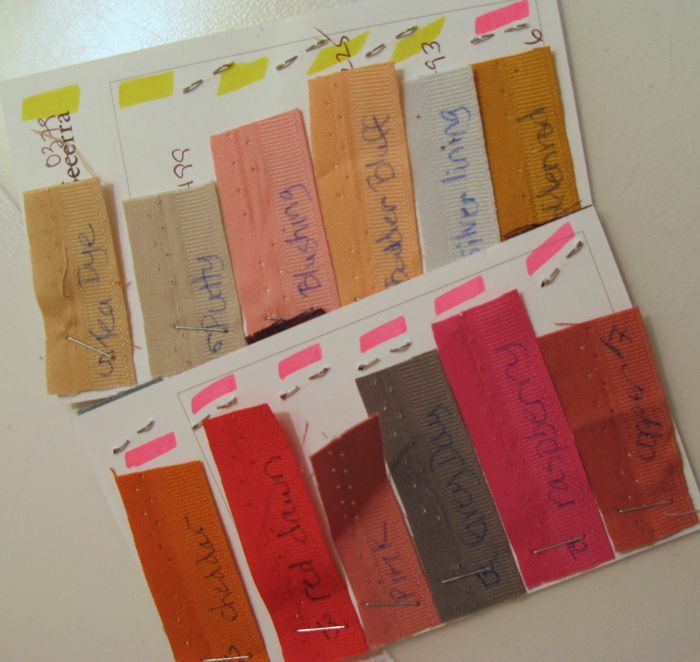 A swatch card. 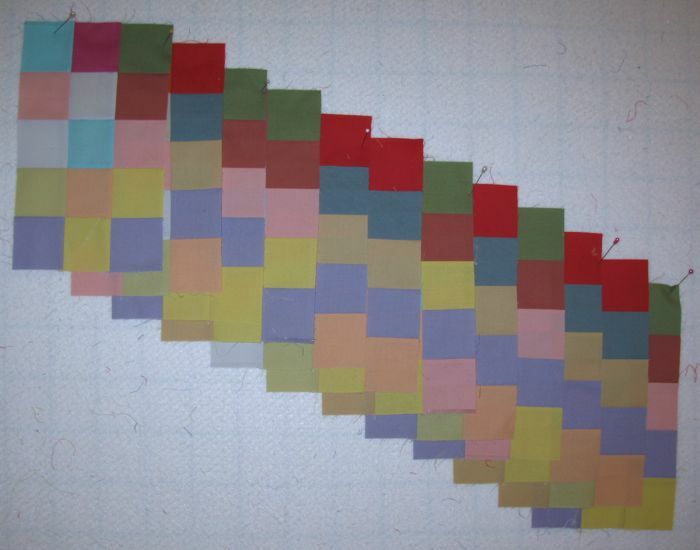 I wrote the name of the color on each clip of selvage, then also coded them as to whether the pattern designer considered it a “medium” or a “light,” as shown by the pink or yellow lines next to the swatch. While it was true that I was cutting these out while hanging out with my three younger grandchildren, and I was trying to follow the plots of their multiple episodes of Witches of Waverly Place streaming down on Netflix as their mother took a nap, I was also pulling out my hair over which color was which. 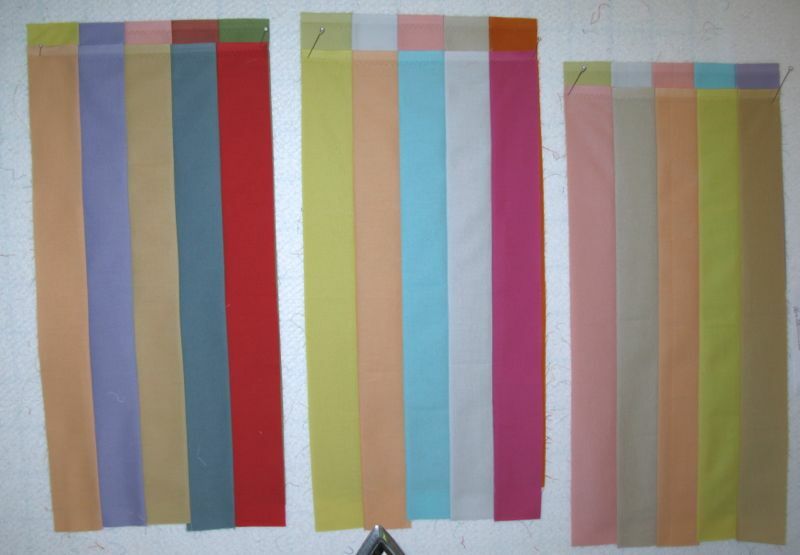 The pattern does include a color chart, but as we all know, print colors can vary from actual colors. So, do your best to sort out which is what color and go forward. Hopefully, if I stay on track and don’t get too far behind (yes, I’m three blocks behind already!) I’ll have a gorgeous quilt like this one. 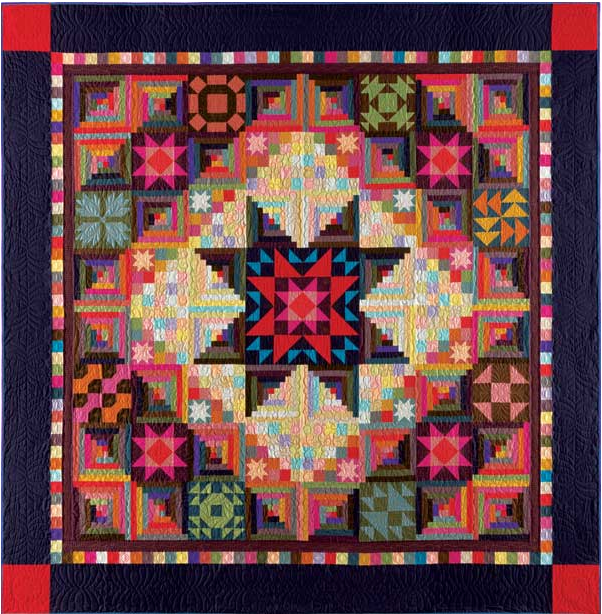 I love that you are ahead of me with this BOM quilt. Of COURSE, you are way ahead of me as I haven’t even opened up a single package yet. But I’m gaining lots of valuable information here. So thanks! The Amish with a Twist is going to be stunning! I love that the design has so such depth and interest, all created with solids! 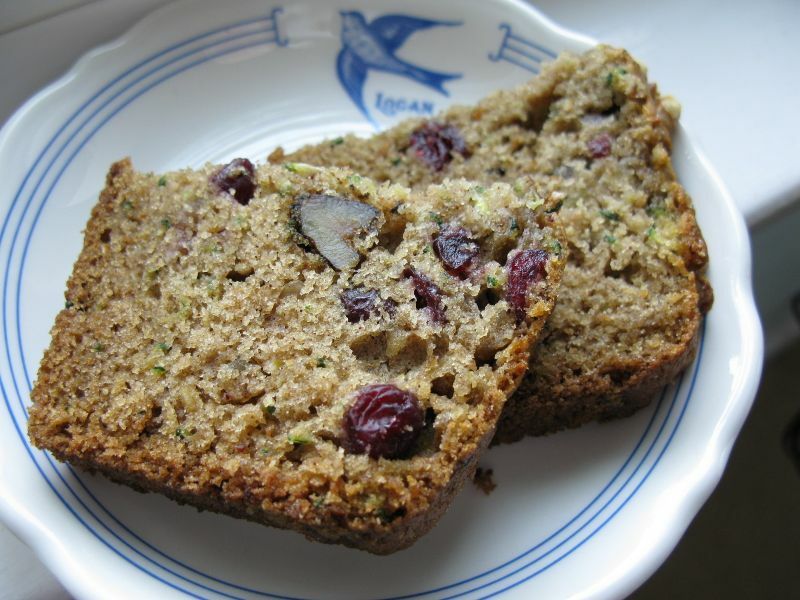 And that zucchini bread looks delicious- save me a slice! I’m liking your “Amish with a twist”!! The colors look like they could get a little confusing. Glad that you are doing better with your foot! That inspiration quilt is stunning. I’m looking forward to seeing what you end up with! It’s hard to believe that you are behind in your block of the month considering all the beautiful blocks you have pinned. They are gorgeous. 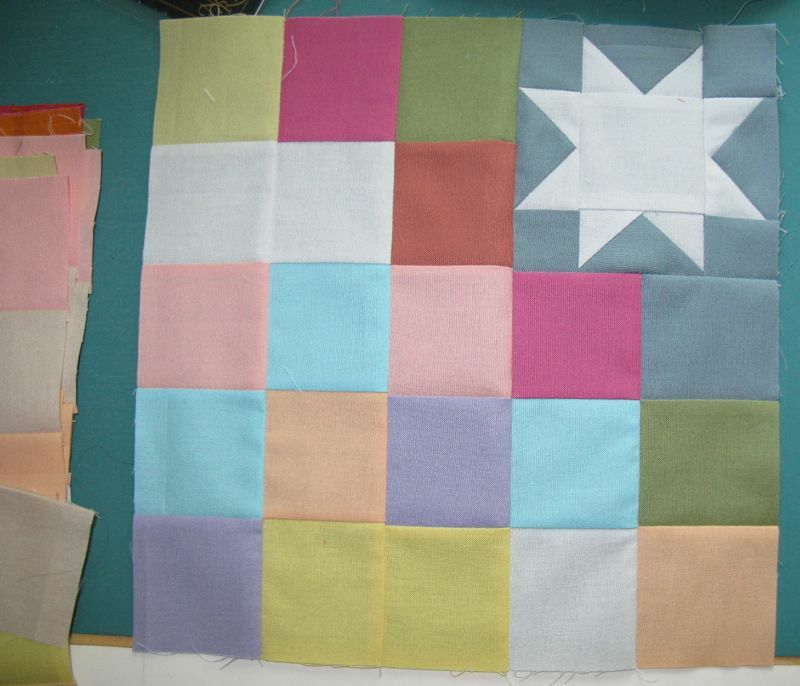 This will be one spectacular quilt. Happy to hear your recovery is progressing well.